Jennifer is originally from Baltimore, MD, and moved to York, PA, in 2005. Jennifer has enjoyed working in many different fields over the years – daycare teacher, tutor, licensed chiropractic assistant, office and medical billing manager, and intel analyst in the U.S. Army. She has always had a passion for education and teaching others. She has completed several college courses focusing on education, curriculum development, learning styles, and teaching methods. Jennifer discovered another passion in 2006 when she attended Massage Therapy school at the Baltimore School of Massage. She is Board Certified in Therapeutic Massage and Bodywork (BCTMB), a PA State Licensed Massage Therapist, a Certified Reiki Master (CRM), and a member in good standing with the American Massage Therapy Association (AMTA). Jennifer received instruction from a leading expert in Prenatal Massage, Elaine Stillerman, obtaining her Certification in Prenatal Massage. She also is a Certified Infant Massage Instructor and teaches infant massage to parents and caregivers. While Jennifer loves many modalities, she finds it very rewarding working with prenatal clients and infants and their parents. She is the owner of Simply Serene Therapeutic Massage in York, PA, and is dedicated to assisting her clients with pain and stress relief. 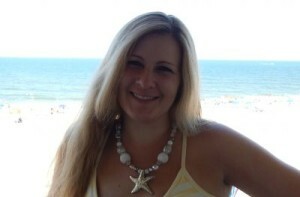 Jennifer works diligently to educate her clients on the benefits of massage therapy. She is very excited to instruct other therapists at Sage Continuing Education so they can offer additional modalities and services to care for their clients.